01 Jan 2015 Kampala – Two Muslim clerics has been Martyred by Assailants, On Christmas day, the Leader of the Shia Muslim Community in Uganda, Sheikh Dactoor Abdu Kadir Muwaya, was killed by unknown assailants in an eastern Uganda district. Muwaya was shot dead at his home. Sheikh Dactoor Abdu Kadir Muwaya was shot dead at his home on Thursday (Christmas Day) at around 9.30pm local time (EAT), police said. The attackers fled the scene on a motorcycle after carrying out their crime, according to local media. Muwaya was the director of the Mayuge-based Ahlul Bait Islamic Foundation, which established several mosques across Uganda and sponsored the education of needy children. Nevertheless, Fred Enanga a police spokesperson, says Uganda is not a country where a specific religion is targeted by these killings. “These religious leaders have private lives and businesses and they are involved in politics and normal conflicts,” Enanga said. “We have to note that these killings are not taking place in the mosque,” he added. He said this meant that there was not a crime pattern denoting that some people were targeting Muslim clerics. “It’s only a coincidence that one Sheikh has fallen after another,” Enanga said. “But those are things we shall investigate,” he added. The slain cleric is the father of Mayuge LC 5 chairman Omar Bongo Muwaya. One of whom was assassinated on a highway at the center of the Ugandan capital Kampala, a source said. The victim is called Sheikh Mustafa Bahiga and he was the Kampala district Emir, Sheikh Ibrahim Hassan Kirya, the spokesman of Kibuli Mosque told The Anadolu Agency. He said Bahiga was killed on Entebbe highway at the center of the Ugandan capital. On Sunday, the slain victim had delivered a lecture and then headed to the southern Kampala suburb of Najjanankumbi, where he performed the Maghrib ( Dusk ) Prayer, according to Kirya. He added that the late cleric then headed to Bwebajja, another suburb of the Ugandan capital along the Entebbe highway, to perform the Isha , last prayer of the day. “Unidentified people appeared and then shot him four times as he left his car on the way to the mosque,” Kirya said. He noted that locals had taken the victim to a nearby clinic to rescue him, but the clinic staff said they could not handle his case. He added that the locals had then headed to the Kibuli Muslim Hospital, but Bahiga died on the way to the hospital. “We don’t really know what is going on,” Kirya said. “This killing looks like it was planned,” he added. Quoting the people who had been witness to the last moments of Bahiga’s life, Kirya said the late cleric kept repeating the words “Kamoga, you have killed me” before he breathed his last. 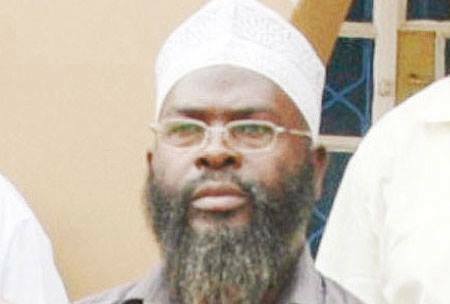 Uganda’s Tabliq sect had recently withdrawn confidence from its leader Sheikh Muhamad Yunus Kamoga. He was replaced with Haruna Jjemba, a fellow of Makerere University, Uganda’s largest and third oldest university. This appointment has, however, fueled tensions inside the Tabliq leadership. 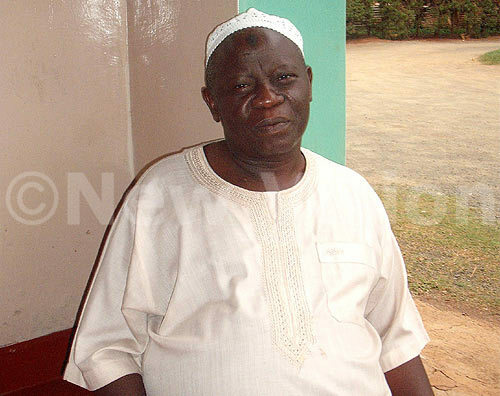 Bahiga was the second Muslim cleric to be killed in Uganda in less than five days. This entry was posted in AFRICA and tagged Assassination, Kampala, muslim cleric, Sheikh Dactoor Abdu Kadir Muwaya, Sheikh Ibrahim Hassan Kirya, Shia Cleric, Shia Muslim Community, Uganda. Bookmark the permalink.